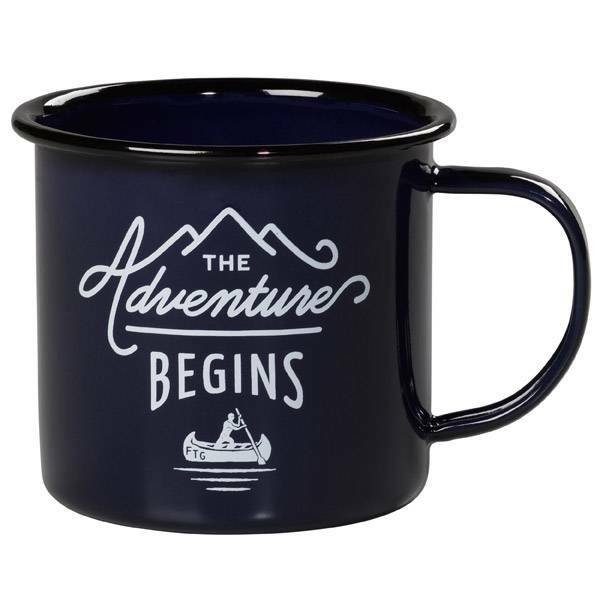 A handy mug if you often go out camping or just for home use. 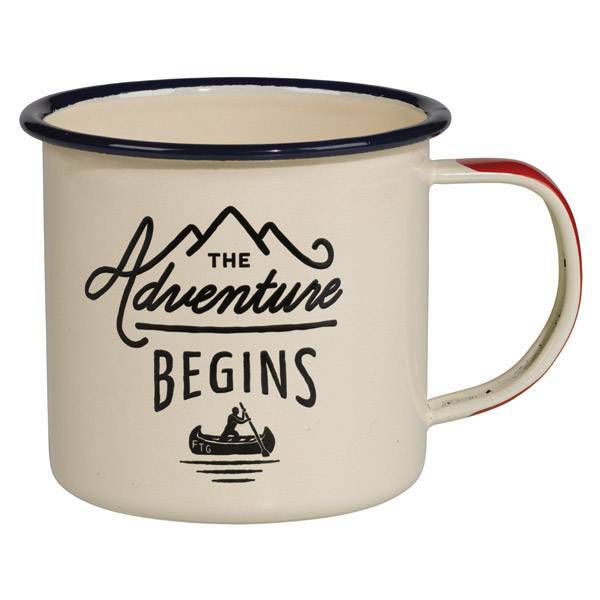 A mug to use at picnics, festivals or for adventures in the garden. 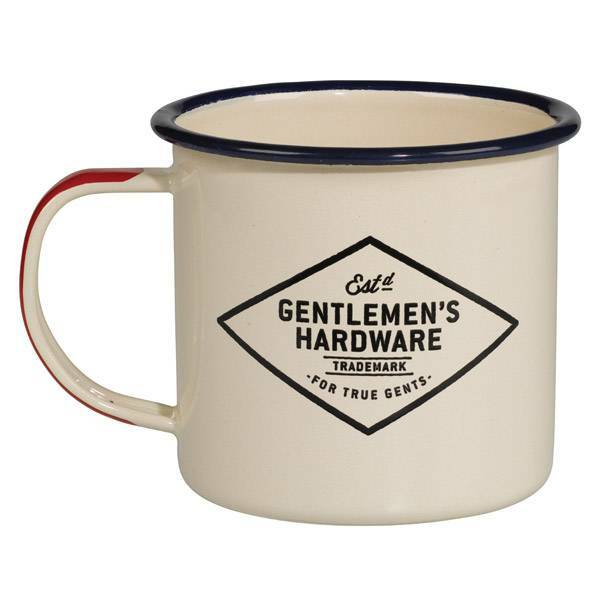 Designed by Gentlemen's Hardware. The Adventure begins, a reminder that a thirsty adventure is coming up. 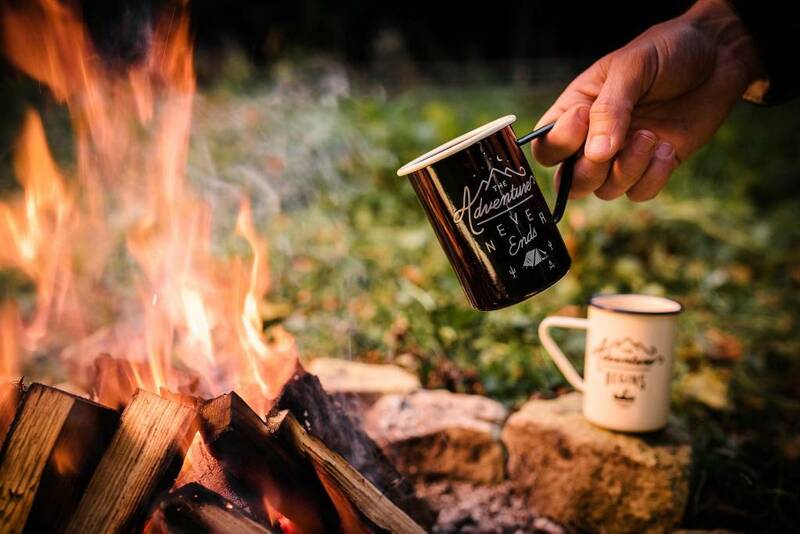 A mug that is easy to use on the campsite or just at home. With a simple but stylish design of a boat with and a compass on the bottom. 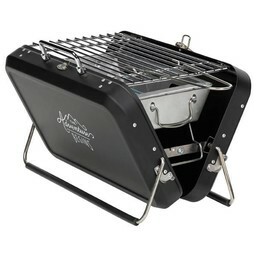 Ideal for camping, festivals or adventures closer to home. Available in two colors. Designed in the UK. 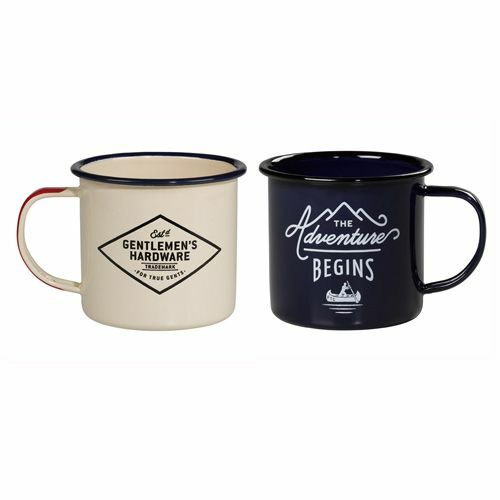 Nice to combine with the enamel plates of Gentlemen's Hardware. Hand wash. Not dishwasher and microwave resistant. Color: cream, red and blue of blue, black and white.